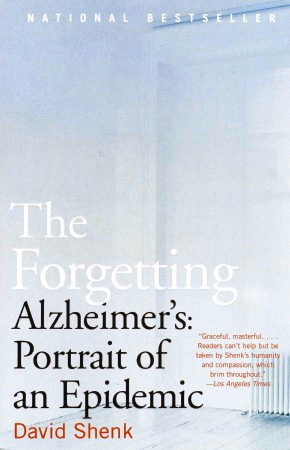 Award-winning author and popular speaker David Shenk, whose book The Forgetting is widely considered one of the best ever written about Alzheimer’s, has joined Cure Alzheimer’s Fund as a senior adviser. Shenk will be deeply involved with writing, events and fundraising on a project basis at CAF. “We are thrilled to be working closely with David to help people better understand the urgency of this disease and how everyone can join in to help stop it,” says Tim Armour, president and CEO of Cure Alzheimer’s Fund. Shenk, author of five other acclaimed nonfiction books (see davidshenk.com), also has advised the President’s Council on Bioethics and is a nationally recognized Alzheimer’s filmmaker. In recent years, he has written and directed five short “pocket films” aimed at educating the public about the disease. This year, MetLife Foundation commissioned him to produce four new documentary films about the family caregiving experience. Shenk first met Rudy Tanzi at a scientific conference in 1999 while researching The Forgetting (and while Tanzi was writing his own soon-to-be-acclaimed book Decoding Darkness), and they’ve crossed paths several times over the years. Recently, Tanzi introduced Shenk to CAF, and the fit was obvious. Shenk will join Tanzi, Harvard’s Robert Moir and moderator Robert Bazell on the “Taking Control of Alzheimer’s Through Research” panel at CAF’s science symposium on Oct. 18 (see below).